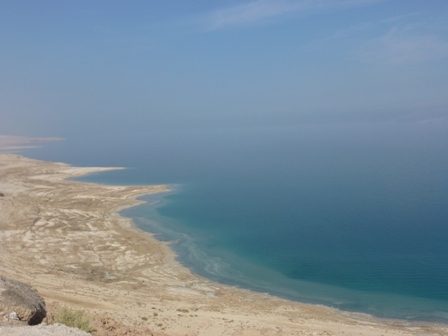 Floating in the Dead Sea is one of travel's memorable experiences. 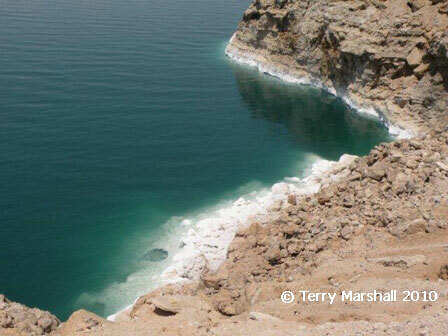 The sea, 400 metres below sea level and with 33% salt (normal sea water has 3-4%), is impossible to sink in. The water and the soft, sulphurous black mud you can pick up underneath is said to have remarkable healing powers. Floating in the Dead Sea is one of the quintessential travel experiences. Located at 400 metres below sea level, the high salt content of the water, 33%, makes floating in the water effortless, though the water can be very painful if it gets in the eyes, mouth or any skin abrasion. The mineral content of the water and mud underneath is great for your skin, which is why you'll see people covered head to toe in mud at the Dead Sea beaches (it's also sold in shops throughout Israel!). Next to the Dead Sea just south of Israel's border with the West Bank lies Ein Gedi National Park, a desert oasis in the mountain valleys leading down to the sea. There are several hikes in the park and numerous little waterfall pools to cool down in.